3-hole Version with the simple (straight band) clamp. 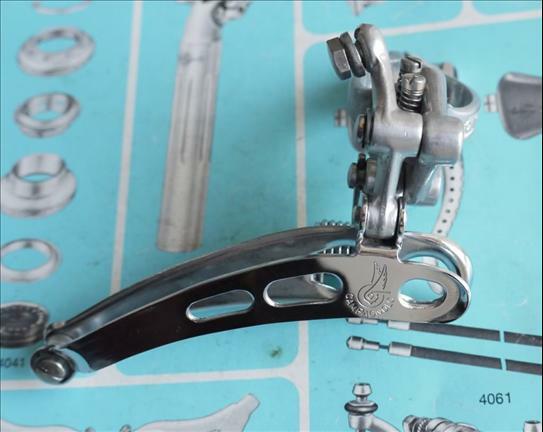 This was the last generation of the Campagnolo Nuovo Record front derailleur. In 1982 Campagnolo went with a new model numbering scheme, dropping the long used 4 number system.